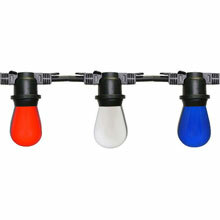 To express your patriotism with a festival of patriotic lights on 4th of July, Memorial Day, Labor Day, Veteran's Day or just to be a patriot! 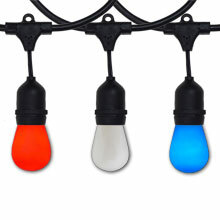 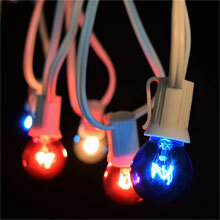 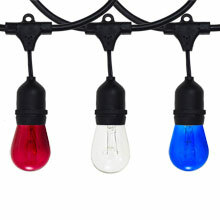 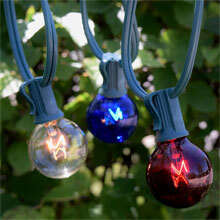 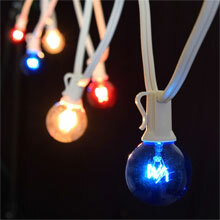 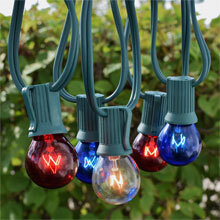 Patriotic All-In-One String Light Kits or bulb plus cord kits can help you express your patriotism. 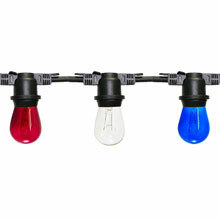 4th of July string lights come in a All-In-One String Light Kit complete with the stringer and red, white and blue lamps.